Furkan Korkmaz had another big night for the Sixers with 18 points despite the loss to the Grizzlies. LAS VEGAS – The 76ers' NBA Summer League experience is over. They were eliminated Sunday night after an 82-73 quarterfinal loss to the Memphis Grizzlies at the Thomas & Mack Center. The Grizzlies (4-2) will face the unbeaten Portland Trail Blazers (5-0) in Monday's 10:30 p.m. EDT semifinal at Thomas & Mack. The Sixers, meanwhile, finished the summer league with a 2-4 record. Memphis reserve guard Brandon Goodwin led all scorers with 21 points. He shot 8 of 16 from the field, including going 3 of 6 on three-pointers. Kobi Simmons added 15 points and seven assists. Power forward Jaren Jackson Jr., the fourth pick in last month's NBA draft, had 14 points, eight rebounds and four blocks. 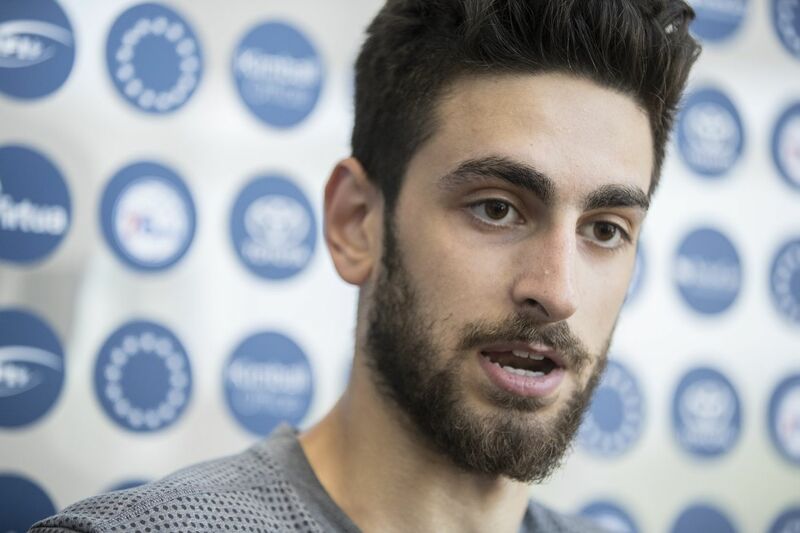 Furkan Korkmaz made 4 of 9 three-pointers en route to finishing with 18 points to pace the Sixers. First-round pick Zhaire Smith struggled from the field, scoring five points on 2-for-8 shooting. His first basket came on a tip-in dunk with 2 minutes, 46 seconds remaining. He did, however, have a team-high four assists to go with four rebounds and one block. Demetrius Jackson (11 points) and Askia Booker (10) were the Sixers' other double-figure scorers. Jonah Bolden was held to five points on 2-of-5 shooting. The Sixers shot 34.1 percent overall while making 10 of 35 (28.6) three-pointers. Memphis shot 43.3 percent from the field. The Grizzlies opened the game by making 10 of their first 13 shots to take a commanding 26-11 advantage. However, the Sixers went on an 11-0 run as the Grizzlies missed their next 11 shot attempts. But after another miss, Memphis center Deyonta Davis scored on a put-back to put his squad up, 28-22. The Grizzlies extended their lead to 20 points (56-36) on Goodwin's three-pointer with 7:56 left in the third quarter. The Sixers got to within 80-73 with 23 seconds left on Smith's breakaway dunk.